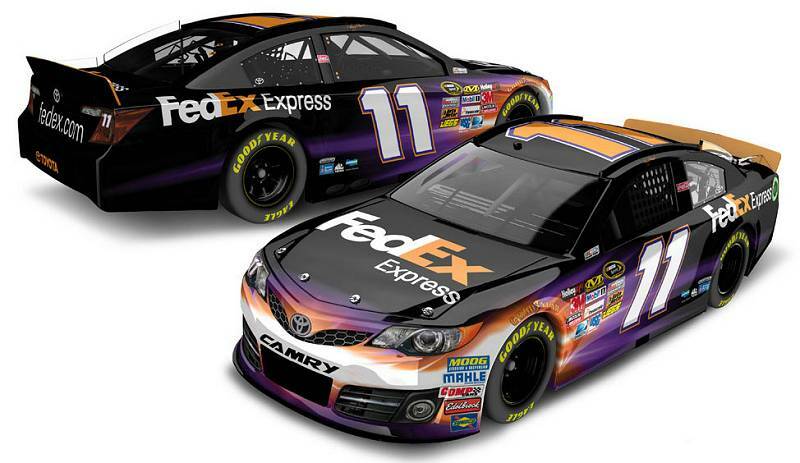 It appears that Denny Hamlin will be sporting the same colors and paint schemes as he has the previous 2 years in his 2013 FedEx Toyota Camry. Of course this will be on top of his newly laid out body design being introduced in the 2013 Gen6 car. Check it out below.